The Akai Fire is a plug-and-play USB performance controller especially designed for use with Image Line’s popular DAW FL Studio. The Fire has been developed with both companies in close partnership, meaning this controller is a high-performance tool optimised to enhance your workflow and audio production when using the popular DAW. Implementing the Fire into your set-up is made simple by the plug-and-play functionality built into the controller. The majority of the surface is comprised of the 4x16 RGB pad matrix, which can be employed to trigger patterns alongside live performance and recording implications (the pads are also velocity-sensitive). There are also 4x banks of assignable and touch-capacitive knobs and a dedicated transport section which empower users to quickly input information into the Step Sequencer or whilst using the Performance mode. The Fire also provides for the instantaneous switching between the Channel Rack, Browser, Tool Bar and Playlist menus, whilst a graphical OLED screen relates current and relevant data. Many musicians have found the modern style of USB and MIDI controllers intuitive and liberating, the hands-on and natural approach comparable to more traditional musicianship or engineering practices. 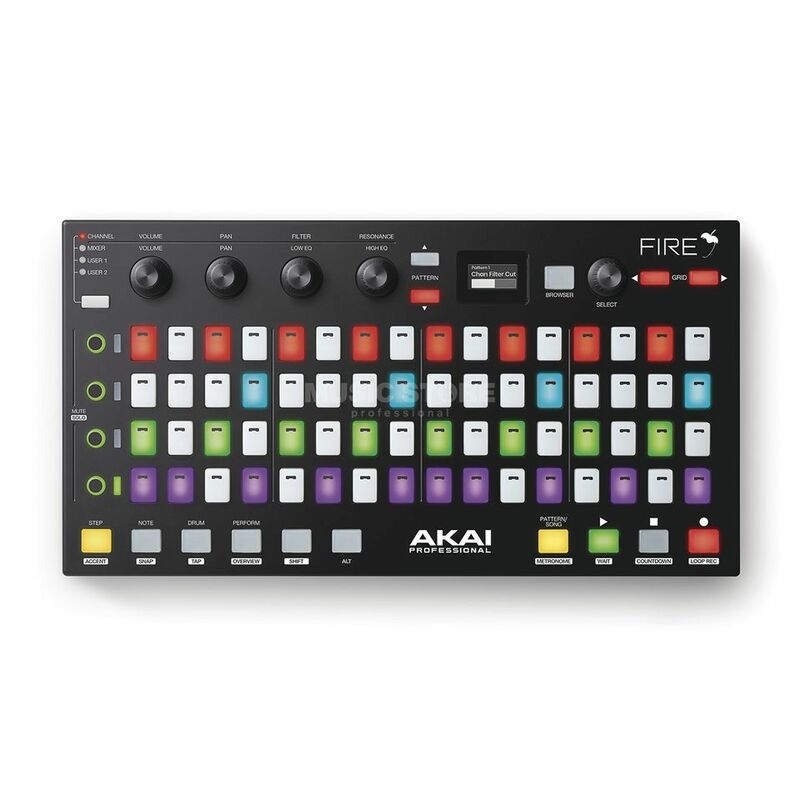 A special version of FL Studio, the Fruity Fire Edition, is included free with the Akai Fire, so it is possible to begin recording and producing music immediately. This version includes the Piano Roll Editor and Step-Sequencer, 500x tracks, ST & DXi instrument support, full automation functionality, over 18x virtual instruments and more than a dozen built-in effects and processors. Both the Akai Fire and FL Studio 20 are compatible with both Windows PCs and MacOSX.